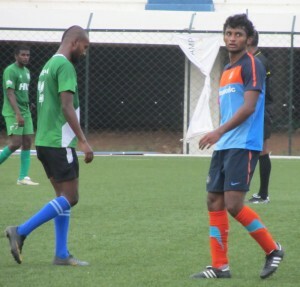 Indian under – 22 probables divided themselves into two teams and played 60 minutes practice matches against Army Service Corps (ASC) and Hindustan Aeronautics Limited (HAL SC) on 24th May, 2012. Both the teams play in Bangalore super division league, in fact, HAL SC played in I League for last two seasons, before getting relegated this season. 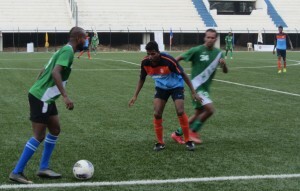 Two goals from Manandeep Singh and a goal by George Alwyn in the first half were enough for the Indian u-22 boys to have a comfortable win against ASC. 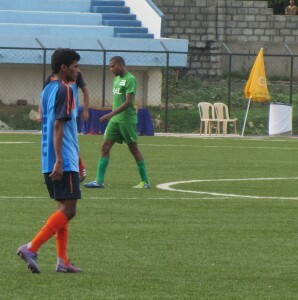 ASC, being an army team had the physical fitness to rival the hard running Indian u-22 youngsters. 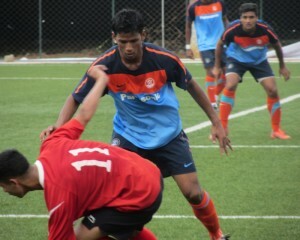 However, the Indian boys were more skilled and ran away with the game. With u22 team replacing many of their key players, ASC had a better second half. ASC came close to scoring a few times, including hitting the woodwork with a nicely taken free kick. 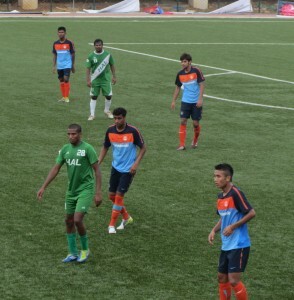 A superior 2nd half performance saw Indian u-22 team thrashing HAL SC by six goals. The match started with Jeje on bench, and HAL playing a new look team with a new coach. 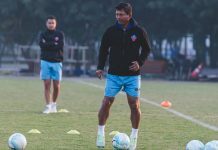 HAL tried a possession football which initially frustrated the Indian national side a bit, but as the match went on the youngsters settled down and controlled the game. In the second half, HAL were struggling to keep up with the superior fitness of the u-22 boys and were completely outplayed. Jeje’s introduction made u22 team highly threatening as he scored 3 goals and looked menacing upfront. 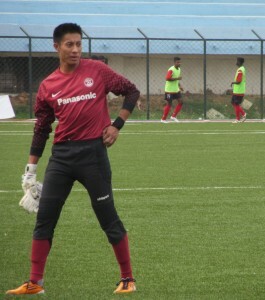 Ironically, Bangalore boy and TFA cadet Deepak Prakash who spent the preceding season with HAL SC without getting much match time, scored two goals against his former team and had a great game.